TCarta has been commissioned by Environment Agency – Abu Dhabi (EAD) to carry out a landmark mangrove health assessment covering the entire Emirate of Abu Dhabi — the assessment contains mangrove condition information derived from high-resolution multi-spectral satellite imagery. For EAD, the TCarta report delivered some promising results. With 80 percent of the Emirate’s mangrove forests found to be healthy, this was encouraging news. The innovative project also enabled EAD to designate conservation areas for immediate protection. The data helped EAD to assess the relative success of existing schemes with the view to applying the lessons learned into practice for future endeavors. For the assessment, TCarta obtained high-resolution multi-spectral imagery acquired by the DigitalGlobe WorldView-2 and -3 satellites during the months of December through March. 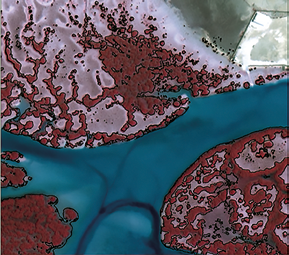 Computer algorithms were applied to the Coastal Blue, Visible Green, Visible Red and Near Infrared bands to differentiate mangroves from other vegetation across the Emirate. A total of 155 km2 of mangroves were identified and mapped. Advantech Satellite Networks has integrated the VSAT commissioning tool from Integrasys, Satmotion Pocket, with the firm’s ASAT™ VSAT Network System — the integration is part of a project for a major European customer. Satmotion Pocket is a unique and award winning VSAT auto commissioning tool, available as an easy-to-use mobile app. The product greatly reduces the deployment time and effort, as well as minimizing the risk of errors such as CrossPol and Adjacent Satellite Interference. Installers don’t need to be experts in VSAT installations to handle VSAT commissioning using Satmotion Pocket. The Advantech Satellite Networks ASAT™ VSAT Platform is a scalable multi-service VSAT network system, allowing operators to serve diverse link needs, from narrow MF-TDMA links to high-throughput dynamic SCPC trunks. Satmotion Pocket is configurable to support tens to hundreds of thousands broadband terminals. ASAT™ supports GEO High-Throughput-Satellites (HTS) as well as wide-beam satellites. The combination of the ASAT VSAT Platform with Satmotion Pocket enables simple, automated deployment of high-quality services across diverse site installations. This means that customers can ensure accurate and high-quality site commissioning and optimum space segment utilization, regardless of link type and antenna setup, even if the installer is not trained in VSAT installations, something which is especially required for military applications worldwide. Alvaro Sanchez, CEO, Integrasys, said the company is extremely proud to be working together with Advantech Satellite Networks to enable a simpler and more automated deployment for customers. This integration enhances availability, performance and time to market as well as saves users significant operational cost. Advantech’s ASAT VSAT Network System has proven to be extremely flexible, enabling easy integration, with great results. 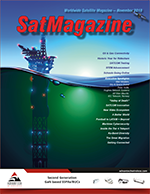 David Gelerman, CEO and Founder, Advantech Satellite Networks, added that the company is excited to have integrated Satmotion Pocket with the ASAT VSAT Platform. Satmotion Pocket’s capabilities will provide customers with faster and more accurate remote site installations, as well as operation and remote site audit capabilities to enable them to make the most of their satellite resources. 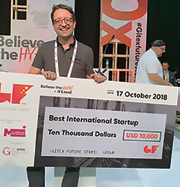 Satellite Vu has been awarded the title of Best International Start-Up at the Supernova Challenge, part of the Future Stars event held during the recent GITEX event in Dubai. Satellite Vu was invited to attend by the UAE’s Mohammed Bin Rashid Space Centre (MBRSC) as part of their Innovation Challenge. MBRSC aims to encourage the development of technologies related to space manufacturing and applications that can be used to ultimately improve the quality of life on Earth. Satellite Vu is preparing to provide a disruptive service that will enable governments and organizations to take on the enormous challenge of plastic pollution in our marine environment. As humanity faces the prospect of more plastic than fish in our oceans by 2050, Satellite Vu is offering a sustainable solution that will provide frequent, precise and actionable data so that the origins and routes that plastic waste travels can be monitored and acted upon. Satellite Vu will launch a series of seven near-real time to near-real-time satellites with specially developed payloads that will produce high resolution infrared imagery, at less than five meters. This imagery is interpreted and converted into timely data using unique algorithms that end-users can readily access. Data produced by Satellite Vu can also be overlaid onto other forms of data such as social media, mobile phone and proprietary information. This results in another layer of intelligence from which new business insights may be generated. The satellites will re-visit a target site every hour, throughout the day and night, and produce imagery so that constant, near-real time monitoring is possible. The judges’ criteria focused upon the originality of the idea, its potential in terms of longevity, actualization and profitability, the team, the functionality of the product or service and its impact on social, cultural and environmental issues. Anthony Baker, the CEO at Satellite Vu, is pictured to the right with the results of the award. He thanked MBRSC and GITEX Future Stars for this great opportunity. This recognition is extremely important to the Satellite Vu team as the company continues to work toward addressing the scourge of plastic pollution — and ultimately making a real difference to the future of this planet. 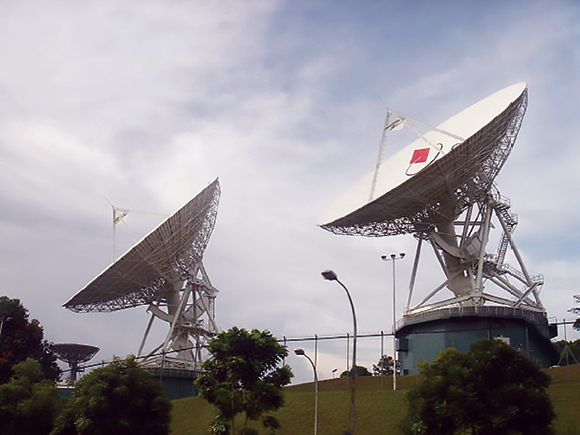 The World Teleport Association (WTA) has announced that Singtel (Singapore Telecommunications Limited) has achieved full Tier certification of their BukitTimah (Tier 4) and Seletar (Tier 4) teleports under WTA’s Teleport Certification Program. These facilities become the first teleports in southeast Asia to achieve full WTA certification and bring the number of fully-certified teleports around the world to 23 in number. Since the program’s introduction at IBC 2015, the Certification program has quickly grown in popularity. Starting with one certified facility in 2015, the program has added more than 40 in three years, and currently has 10 teleports engaged in the quality evaluation process. Certifications have been issued to teleports operated by Eutelsat, du, COMSAT, Signalhorn, Optus, Globecomm, Horizon, Media Broadcast, Elara Comunicaciones, GlobalSat, Talia, Telenor, Vivacom, Cyta, Batelco, Singtel, CETel, Etisalat, Hawaii Pacific Teleport, Intelsat, Speedcast, Telstra, AXESAT, Telespazio and Arqiva. Full Certification under the WTA program is the result of a comprehensive data-collection and inspection process. A teleport operator completes a +170-item questionnaire and submits it to WTA. The Association analyzes the data based on standards established by its Certification Committee and issues the Provisional Certification based on the self-reported information. The teleport then has six months to achieve Full Certification. To achieve Full Certification under WTA’s program, an auditor is dispatched to visit the teleport, provide independent validation of the data submitted in the questionnaire, and identify additional factors that may positively or negatively affect the score. Mr. Ng Kheng Ghee, Head of Satellite at Singtel, said that the firm is delighted to be awarded the coveted Tier-4 WTA certification for the firm’s teleports in BukitTimah and Seletar. This achievement underscores Singtel’s commitment to providing customers the highest quality of security, infrastructure and operational standards to meet their communications needs. The certification will spur the company to constantly deliver the best managed satellite solutions to customers across Asia, Middle East and Africa, offering them reliable satellite connectivity and secured managed ICT solutions. The Executive Director of the WTA, Robert Bell, added that Singtel is a regional leader in high-value transmission services for broadcast, maritime and other industries where Singapore plays a leadership role. As the number of certified teleports grows, the WTA is seeing satellite operators and end-customers including certification as a question in their RFPs, which increases the value of the program to teleport operators. ORBCOMM Inc. (Nasdaq: ORBC) has been selected by Chief Express LLC to provide in-cab solution for their trucks and the trailer monitoring solution for their dry van fleet. Screenshot of ORBCOMM’s FleetManager at work. ORBCOMM’s end-to-end solutions provide wireless connectivity through its industry-leading hardware and integrated Cloud-based analytics platform and information management engine for optimal fleet management. Chief Express is using ORBCOMM’s driver-friendly, in-cab solution to gain complete visibility, monitoring and management of their drivers and trucks. 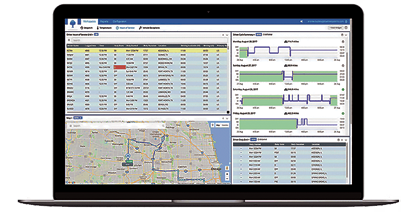 ORBCOMM’s in-cab solution delivers GPS fleet tracking and connects to the truck’s CANbus to seamlessly collect important data from the engine, brake systems, fuel tanks and more, providing access to deep analytics and reporting via FleetManager, ORBCOMM’s newest web platform. By automating hours of service calculations, ORBCOMM enables Chief Express to comply with the Electronic Logging Device (ELD) and FMCSA Hours of Service (HOS). ORBCOMM’s in-cab solution also helps Chief Express improve driver safety by providing live, on-board driver performance scoring and correcting unsafe driving behaviors that lead to accidents, fines and higher insurance. ORBCOMM’s platform enables Chief Express to decrease operating and maintenance costs and improve productivity through real-time asset management, reduced risk of fuel loss and preventive maintenance as well. To manage its dry van fleet, Chief Express is using ORBCOMM’s ruggedized trailer monitoring solution along with FleetManager to access live and scheduled status updates whether their trailers are in transit or in the yard. ORBCOMM’s solution also provides Chief Express with the unique ability to see precise data on distance traveled by each trailer so they can accurately schedule trailer servicing and inspections based on odometer readings or time elapsed for maximum asset utilization. Marc Eisenberg, the CEO of ORBCOMM, said the firm is pleased to have won both the in-cab and trailer business for a leading truckload carrier like Chief Express, which reaffirms the company’s unique competitive advantage and leadership in this market to provide telematics solutions for nearly every transport asset class through one integrated platform. Kennan Hill, President and Owner of Chief Express LLC, added that ORBCOMM’s advanced telematics solutions for trucks and trailers are better than anything the firm had seen on the market and their fleet management portal and driver-friendly in-cab product are light years ahead of the competition in terms of features, functionality and usability — the company is already seeing bottom-line benefits by improving ELD compliance, driver performance and overall operational efficiency. Surrey Satellite Technology Ltd.’s international exports track record, totaling £1.15 billion ($1.5 billion) over a 30 year period, has been honored with an International Board of Trade Award. The award was presented to SSTL’s Managing Director, Sarah Parker, by the UK’s Secretary of State, The Rt. Hon. Dr. Liam Fox MP at the first international Board of Trade Awards ceremony held on board HMS Queen Elizabeth in New York on October 22, 2018, and hosted by Admiral Sir Philip Jones KCB ADC, First Sea Lord and Chief of Naval Staff. Since the Company was founded in 1985, SSTL has grown from four to 500 employees and now has 40 percent of the world’s small satellite export market, with an annual turnover of £100 million. With the launch of seven satellites this year, SSTL has now launched 57 satellites on 34 launches from eight launch sites around the world and has also provided 18 space development and training programs for international customers, including the US, Kazakhstan, Nigeria, Chile, Thailand and South Korea. SSTL specializes in the design, manufacture and operation in orbit of smallsats, with full capability through the design, build, test, launch and operate phases of a mission. Customers include commercial organizations, space agencies, national governments, academia and research institutions and SSTL’s spacecraft are used for Earth observation and science, navigation, telecommunications, exploration, and technology demonstration in LEO, MEO, GEO, and beyond Earth’s orbit. SSTL started the smallsat revolution back in the Eighties and has achieved a number of “Firsts” in the field of small satellite engineering, including launching the first satellite to have a web address in orbit (UoSAT-12, 2001), designing and manufacturing the first satellite in Europe’s Galileo satellite navigation program (GIOVE-A, 2005) and, most recently, designing, manufacturing and operating the first satellite to demonstrate space debris removal technologies in orbit (RemoveDEBRIS, 2018). SSTL’s current order book includes navigation payloads for Europe’s Galileo satellite navigation constellation, six satellite platforms for the FORMOSAT-7 weather forecasting constellation, remote sensing satellites for UrtheCast’s UrtheDaily constellation, a small geostationary platform for the Eutelsat Quantum telecommunications satellite, a 12U nanosatellite for Honeywell to test a new two-way VHF Data Exchange System (VDES) payload for the exactEarth advanced maritime satellite constellation, and an Earth Observation satellite for Kazakhstan.